On April 4, 1968, Dr. Martin Luther King, Jr. was shot and killed in Memphis, Tennessee. On April 4, 1972, the late Congressman Adam Clayton Powell of New York, died of cancer in a Miami, Florida hospital. His death came four years, four months and four days after the death of Dr. Martin Luther King, Jr. We must remember the death of Dr. King beyond the news clips and the images of cities burning and people rioting. Those actions, while not excusable, were expressions of the pain and anger over the death of Dr. King. Today, 51 years later, we have a generation that knew not Dr. King nor Congressman Powell. And what is even more tragic is that this generation is so social media addicted that they don’t want to read or hear about anything that is not about them. We must remember Dr. King beyond “I have a dream.” We must remember that he died because of his commitment to our future and life as we now know it. He was in Memphis because of the garbage workers and how two had died because of discrimination and the denial of shelter during an electrical storm. We must remember that he gave away the money from the Nobel Peace Prize and moved into public housing with his family in Chicago at one time, to demonstrate his commitment to equal housing. We must also remember the Rev. Dr. Adam Clayton Powell, Pastor of Abyssinian Baptist Church in New York City. He fought for civil rights before there was a Congressional Black Caucus. Under his leadership the House Committee on Education and Labor passed, and the Congress enacted 60 major pieces of legislation in 6 years of his Chairmanship. These laws are in place today: Higher Education laws, School Lunch Program, Americans with Disabilities Act, Fair Labor Standards Act amendments, Student Loans, Elementary and Secondary Education Act (now the Every Student Success Act, as an amendment), Intergovernmental Personnel Act, the Arts and Humanities (National Endowment of the Arts), the Economic Opportunity Act which many remember as Model Cities, the Older Americans or Age Discrimination in Employment Act and most of all Title 6 of the Civil Rights Act known as Public Accommodations. This amendment to the Civil Rights Act made it a matter of law that there could be no discrimination in the use of anything public where federal dollars are involved. This meant that schools could not segregate students in a building or recreation center, the South could not deny Blacks the use of a public pool because Whites used it. 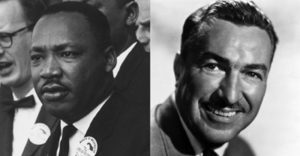 It was Adam Clayton Powell that made the “Great Society” of President Lyndon B. Johnson a reality. It was Powell who acknowledged the anniversary of the independence of each African nation in the Congressional Record on the date of their establishment as a nation.